I’d like some ideas for the area in the picture below please. 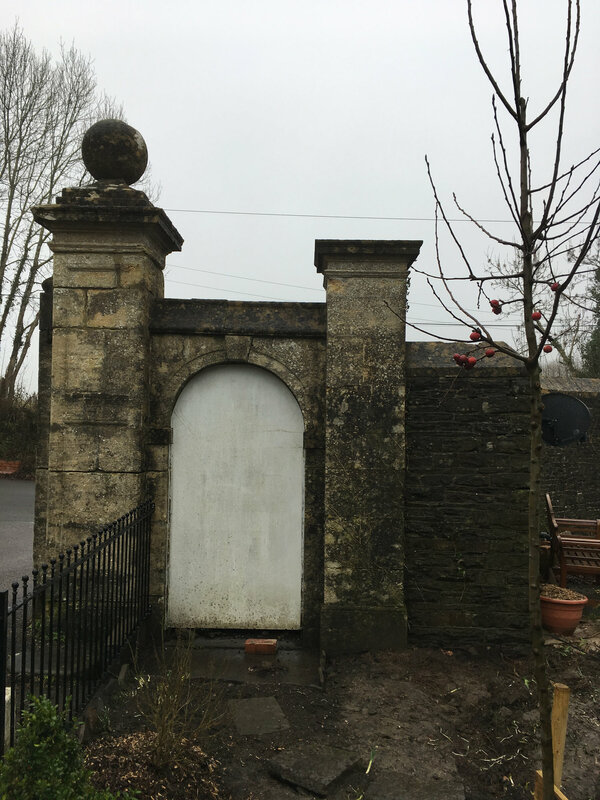 next to the ceanothus and train it up the column and let it spread and hang over the top of the gate arch and dangle over the top of the gate, which I thought would be very pretty. My questions are this: would the rose be ok planted next to the ceanothus? Is it easy to train it straight up and over the top? I was thinking of mme. 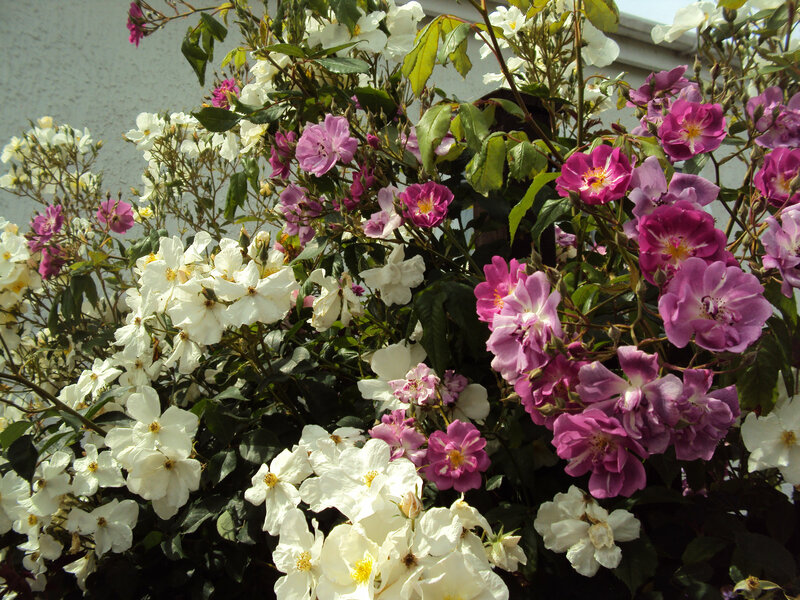 Alfred carriere, but was wondering if a climbing rose would do the job or if I’d need a rambler? If so, does anyone have any recommendations? It’s about 10 ft/3m to the copings over the top of the gate. Also, does anyone have any other, better ideas for the area? 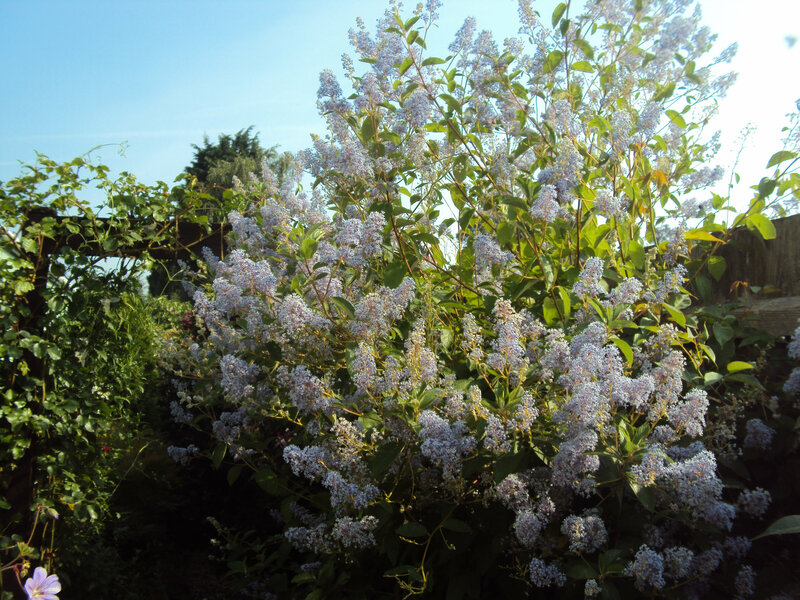 Your idea sounds fine, but the Ceanothus may not produce a lot of flowers for a long period. They make great wall trained shrubs, and create a nice evergreen backdrop for many smaller climbers should you go down that route. I think in this setting, wall training would be better. A rose growing near that area should be fine too, so long as both plants are put in at similar times, it allows them to establish better. I wouldn't go for Madame Alfred Carriere. Something like A Shropshire Lad, by David Austin would do better on that scale. Agree with @Borderline on both counts: Ceanothus and Madame Alfred Carrière not good ideas for that spot. Madame Alfred Carrière produces lovely fragrant roses but it can grow into a real tree, not easy to restrain or train. Look for different climbing roses. Is that a crab-apple tree in the foreground on the right? Are you planning to give that wall and porch a minimum clean-up? What a wonderful romantic spot to play with. I think a ceanothus would look very good trained on that wall but you'd have to choose which one carefully, depending on whether you wanted it to flower at the same time as the rose or differently. I like the Austin rose 'Claire Austin', a lovely creamy white tinged with pale lemon at the heart. It's quite a vigourous, vertical climbing rose with thinnish pliable stems (I've got it up the side of an arbour and over the top) so would drape quite prettily under the arch (with some wires helping it). Are you putting in a working gate or is it just for show? Thanks borderline. A Shropshire lad looks good. Papjo, yes, that is a crab apple in the foreground. It will give some shade and shelter but to the right is south facing so the ceanothus should be ok. The wall will be cleaned up a bit, and the top will get some pointing, otherwise the same. Lizzie, I had a Claire Austin before and wasn’t impressed. I’m not confident it would reach the top. How about putting two roses in there? Or one rose and a clematis and not bothering with a ceanothus? I do like ceanothus but wonder if it would bush put too much or get tangled by the rose too easily? I think the problem with ceanothus is that they can be relatively short lived. I would go traditional with such a classic wall/arch, and go for roses, with a clematis.I should imagine that there is quite a set of footings around that wall, so you'd probably have to dig out some way to get good soil and compost in ? I was out there today finishing off some work I had to do. (That area had no railings and was covered in Tarmac. I've fenced it off, removed all the tarmac, dug lots of the rubble out from underneath, planted the crab apples and other shrubs and put the stepping stones in). Today when I was looking at it I was beginning to lean away from the ceanothus idea. I had one before and loved it, but I'm thinking a rose would be best. I could train it up the wall and let it scramble and tumble over the arch. So which rose would be best? Would a rambler like rambling rector work or be too crazy? 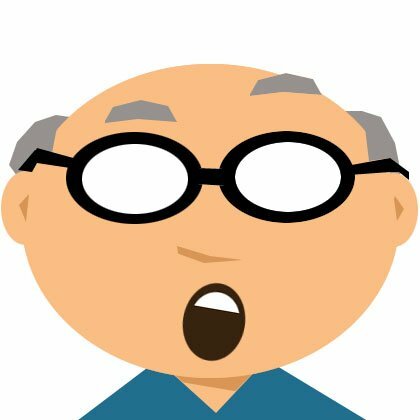 What are robust, climbers that could cover that area? And what combination of rose and clematis would you suggest? Should the clematis be a group three, or would a montana be ok? Montana would be far too big for that spot and I would go for a Group 3 clematis for ease of pruning both that and the rose. Polish Spirit is a lovely deep purple and goes crazy here (July to Oct). I know what you mean about Claire Austin, I wasn't impressed at first but now it's settled in, it's much better. @Marlorena is a rose expert, so hopefully won't mind the tagging. I think Rambling Rector might be a bit too much. Is there any particular colour scheme you have in mind ? 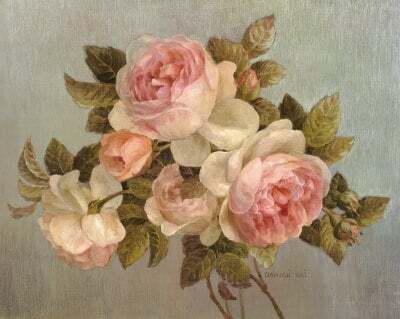 … I tie mine back for support, it gets real top heavy with all the panicles of flowers and grows rapidly.. your rose should bloom throughout the same period... 'Mme A Carriere' would be a good choice in my opinion, if that's the one you want..
Have fun with your posts and pillars... I'm sure it'll look great in time.. The aesthetic has been ruined by having that arch boarded up in the first place! What were the previous owners thinking? That Ceanothus is beautiful and not one I would have considered. I was thinking of Concha, which is a spring flowering evergreen, but I may reconsider. Choosing a Rose is going to be fun, but tricky. I may combine and shrub at the bottom and a climber over the top. But @Malorena , would a rambler or climber be better do you think?